Steering. 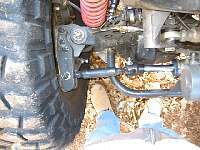 A good steering system can make a trail ride enjoyable, or an improperly designed/built system can make going to the grocery store a nightmare. I've seen so many improperly designed steering systems that don't work well, or are flat out dangerous. 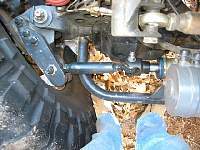 Steering is one of the most often skimped on areas of a trail rig. Considering the fact that you are trusting your life to each and every component in the steering system each time you fire up your rig, the steering system should be the most bulletproof and well designed area of your rig. An example of deathtrap steering! Over the years I've experienced both ends of the steering spectrum. When I was a young buck, I had a Samurai with no power steering, and home made steering components. 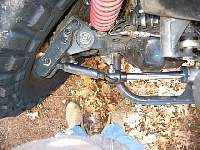 I used to bend my home made "S" drag link every trip on the Rubicon. Looking back, I can't believe that I never lost a steering part on the way home from the trail on Ice House Rd. and plunged 1000 feet to my death! Now that I'm a little smarter (and have a little more money) I want to use the best steering components on the market. 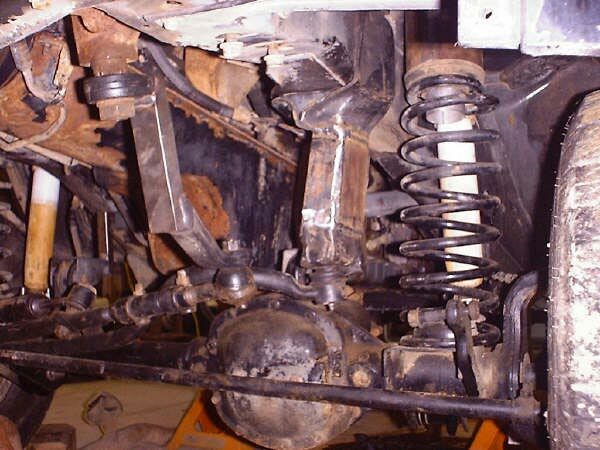 It didn't take much research to figure out what company was at the forefront of the off road steering industry. Just look at what all the top desert racers and top rock crawling competitors have been using for many years - Howe Performance Power Steering. I gave Howe a call, and spoke to Jeff Howe on the phone. He is super knowledgeable about the needs of a rock crawler, as he has been going to rock crawling competitions for product R&D for quite some time. He knows what we put our rigs through, and designs his steering components accordingly. When I told him that we were building a new high end competition buggy, he suggested we use his newly upgraded double ended fully hydraulic ram which is capable of 10" of travel. The ram is shipped from Howe with internal bumpstops to limit the travel to 8". 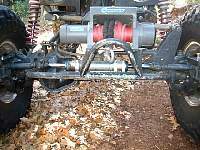 But the bump stops can be removed or shortened to achieve the desired steering travel. Now I didn't just buy a ram from Howe, and then open up my Northern Tools catalog for the rest of the parts. Jeff sells complete kits that are designed to work together. The kit consists of the double ended ram, a specially modified power steering pump (complete with a trick anodized underdrive pulley), a trick reservoir that incorporates a filter, and an orbital valve. All of these components are designed to work together to provide what is supposed to be the ultimate steering. I guess we shall see when we slap it all on the Diablo! Installation is a very critical part of having your steering work properly. Jeff told me that most ram failures are due to improper installation. The double ended ram should see no side loading in the steering. This means that placement of the ram is critical. When figuring out where to install your ram, be sure to cycle the steering in both directions to ensure you have proper geometry. Shaffer's Offroad utilized OTT steering arms along with CTM Racing steering clevises that are made from billet 300m chrome moly. They tig welded up some chrome moly tie rods and used high quality heim joints to connect the Tera knuckles to the ram. Even after a year of brutal abuse, the Howe steering system is working flawlessly. The final installation is super trick with the ram completely out of harm's way thanks to the mini stinger and winch mount. Note the steering angles are minimal lock to lock. Howe states that you must make sure your steering geometry is setup properly to keep the ram from bending. Bent rams are the result of improperly designed steering geometry. I've had lots of experience with Howe systems in the past, since Shaffer's Offroad uses Howe in all their buggies over the past few years. But this was our first rig with the good stuff, so Kelly and I were excited to put it to our own test. As expected, the steering was effortless, and very FAST. It took Kelly some getting used to at first, as she would overcorrect just driving straight in the parking lot. The quick steering (about 1 turn from lock to lock!) is awesome on the trail or in competition. Imagine climbing a loose, rocky climb where you need to see-saw the wheel back and forth to find traction. Now imagine how much easier it would be with a single turn lock to lock over an old school 4 turn steering system. Even though the steering is full hydraulic, it does have some feel to it. I've driven this setup across the desert floor at speeds in excess of 70mph. While Howe doesn't recommend it, we've even driven the rig on the street in Moab to get to the trails without any trouble. The quick steering makes it somewhat tricky at higher speeds, but it is possible. Howe doesn't only make full hydraulic steering, they also make the trickest hydraulic assist steering kits on the market. Bob Standage from Team Shaffer runs the Howe hydraulic steering assist kit on his legends class rock crawler. Bob's steering is every bit as effortless as our full hydraulic setup, and is still 100% road legal. This is the hot setup for those of you who still drive your rigs on the road. I have driven Bob's competition rig on pavement, and it drives like an absolute dream. My next street/trail rig will most definitely have the Howe hydraulic assist kit on it. Howe's stuff ain't cheap. If you want cheap, call up Harbor Freight. 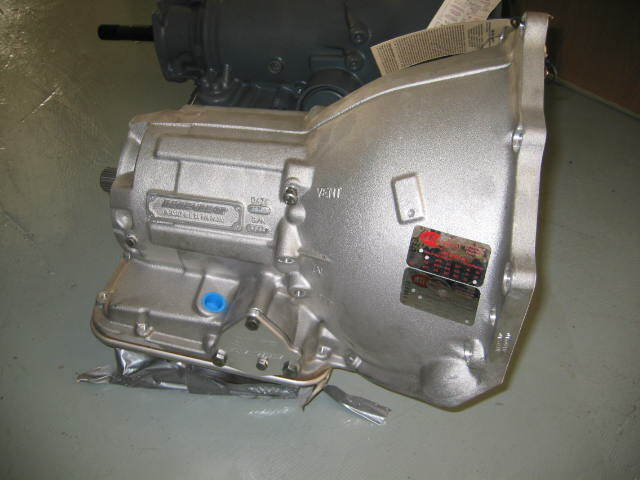 If you want a safe, reliable, well designed setup without the guesswork, call Howe Performance.